Serbian made ammuniton for competition, hunting or indoor ranges. PPU, 9x18mm Makarov, JHP, 95 Grain, 50 Rounds is rated 5.0 out of 5 by 2. Rated 5 out of 5 by Tom Homer from GOOD AMMO I bought this ammo with free shipping but even then it is a bit pricey! It shot clean with no issues of any kind in my Russian made Makarov. 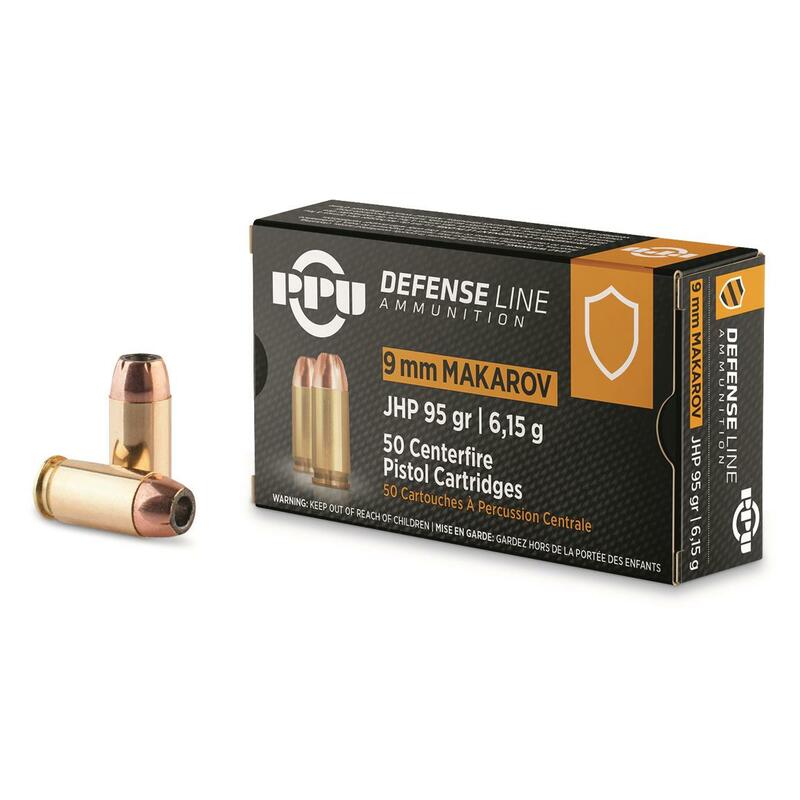 I was curious and wanted to test this brand of Makarov 9x18 but I will probably go back to other cheaper brands since my Makarov eats anything I feed it. However, the PPU ammo worked fine and free shipping helps with the price and it was shipped fast. Rated 5 out of 5 by Clarky from Great hollow points Shot 40 or so of these this morning with my Bulgarian Makarov. No issues at all. Can't speak to accuracy because I'm a terrible shot, but they all went bang with no failures to feed or eject. Brass looks to be good quality. Good price if you get free shipping. Der Kommissar would approve.